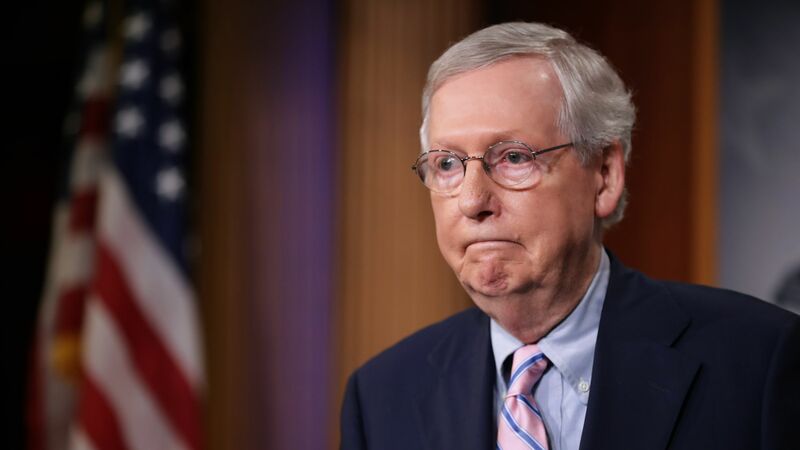 Since 1982, Republican incumbents have been defeated at twice the rate of Democrats in over 600 Senate races, according to research by Nicholas Goedert, political science professor at Virginia Tech. Why it matters: This new analysis on incumbent resiliency could give hope to Democrats, who are defending 10 Senate seats in states Trump won this cycle. But more research needs to be done to figure out the nuanced reasons why this pattern has happened. The other side: As Goedert writes, "The allocation of two Senate seats regardless of state population, giving disproportionate power to small states, seems naturally stacked against the Democratic Party." Between the lines: Open seats are traditionally easier to flip than those with an incumbent. Republicans have won 60% of open Senate seats in that same time — even when Democrats held it previously. By the numbers: Of the 238 seats with a Democratic incumbent, a Democrat only lost 19 of them (8% turnover rate). For the 249 held by Republicans, the GOP lost 39 seats (a 16% turnover). Goedert also found a 3-point difference in vote share between Democratic and Republican incumbents over the last three decades. The 611 races analyzed includes six elections for each Senate seat, as well as a handful of special elections. Republicans won 30 of the 67 open seats previously held by Democrats; Democrats flipped just 14 of the 57 previously held by the GOP. What to watch: The 2018 election and whether those 10 red-state Democrats can follow this trend.